As summer winds down, LCOs should focus on repairing the damage caused by months of hot, humid weather. Fall is a time of renewal for turf. So as summer winds down, lawn care operators (LCOs) should focus on repairing the damage caused by months of hot, humid weather. For cool-season grasses, fall is the time for LCOs to fertilize, seed and aerate. Jamie Breuninger, field scientist with Dow AgroSciences, says this gives the turf two seasons — fall and spring — to prepare for summer stress. For Bermudagrass and warm-season grasses, fall is the time for LCOs to think about controlling winter annual weeds. Breuninger says timing is important for herbicide applications to be effective, adding that it’s not uncommon for LCOs to begin their broadleaf control efforts too early when temperatures are still high in late summer or to begin them too late and miss the window for Poa annua control. But for LCOs who find themselves in this situation, Breuninger says Defendor specialty herbicide is one product that’s effective for broadleaf weed control in the late fall or in the early spring in cool temperatures should weeds appear at this time of the year. One common mistake LCOs make in late summer is trying to prevent crabgrass from going to seed through use of postemergent crabgrass herbicide applications to reduce the seed bank for the following year, which Breuninger says is not a very effective strategy. He says the better way to combat crabgrass is to try to improve the overall health and density of the turf through fertilization and seeding and then use an effective preemergent crabgrass product in the spring. Peter Landshoot, Ph.D., professor of turfgrass science and director of graduate studies in agronomy at Penn State University, agrees that establishing healthy turf is the most effective way to prevent weeds and other problems. 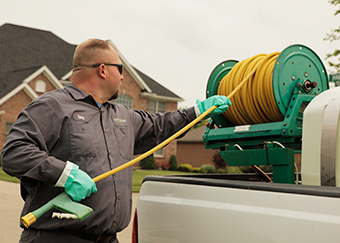 John Buechner, director of technical services for Lawn Doctor, a lawn care company headquartered in Holmdel, N.J., with franchises throughout the U.S., says it’s important for LCOs to communicate with their customers and to set proper expectations about their lawn care services. “One of the major misconceptions is that we can control anything the customer perceives to be a weed,” he says. “However, there are some grassy weeds that we can’t get rid of without killing the whole lawn. Customers need to be educated as to what can and can’t be accomplished. LCOs also should instruct clients about proper watering and mowing practices. 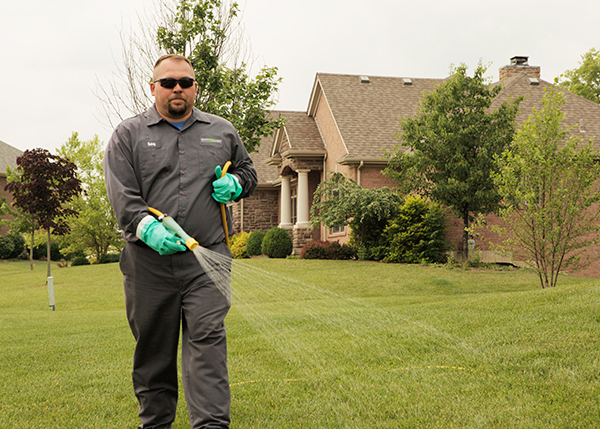 Buechner suggests LCOs minimize applications of weed control products in hot weather and emphasize the customer’s role in proper mowing and watering to keep lawns healthy. Peter Landshoot, Ph.D., professor of turfgrass science and director of graduate studies in agronomy at Penn State University in University Park, Pa., debunks some common lawn care myths and sets the record straight. Myth 1: Synthetic lawn fertilizer (urea- and ammonium-based products) and pesticides kill off microbial communities and sterilize soil in lawns. Myth 2: Applying gypsum will break up clay soils and reduce compaction in cool-humid portions of the country. Myth 3: All lawns need to be limed every year. Myth 4: Moles tunneling in lawns are a sign of grub activity. Myth 5: Castor oil, chewing gum, sonic devices, pinwheels and other household products kill or drive moles away. Myth 6: Returning grass clippings to the lawn will increase thatch.